Sushmita Verma, 32, was 7 weeks pregnant when she noticed slight bleeding. Dozens of thoughts filled her mind as she wondered if it was a threatened abortion. She immediately called her doctor, Dr Anita Sabherwal, Consultant Obstetrician at Sitaram Bhartia Hospital, who asked her to come in for a checkup. What are the symptoms of threatened abortion? “Any vaginal bleeding in the first 20 weeks of pregnancy could be a symptom of a threatened abortion or threatened miscarriage“ said Dr Anita. Sometimes the vaginal bleeding may be accompanied by abdominal cramps or lower back pain. Is a threatened miscarriage a miscarriage? 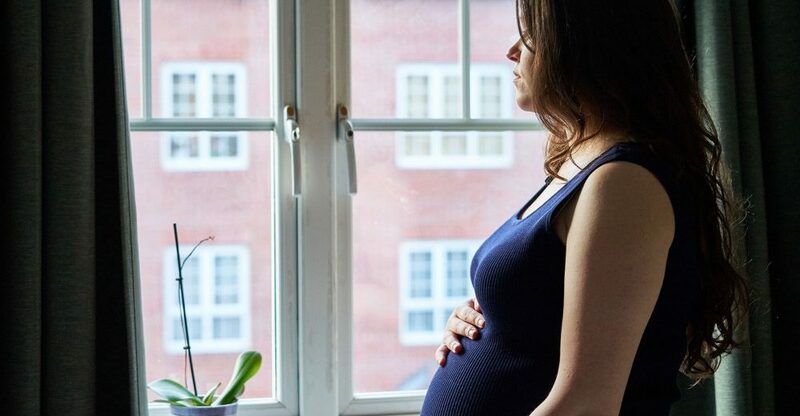 A threatened miscarriage doesn’t always lead to loss of pregnancy. Half of the women are able to continue their pregnancies well into full term. Although both of them may have similar symptoms, the ultrasound result of a threatened abortion will prove that the pregnancy is still viable. “When bleeding or spotting is detected, we advise an ultrasound” said Dr Anita. Sushmita’s ultrasound revealed a steady heartbeat and a blood clot formation behind the embryo. What treatment is advised for a threatened miscarriage? Women are advised bed rest and continuation of folic acid supplements to reduce the chances of a miscarriage. In case there is a lot of pain, treatment of threatened abortion with progesterone may be recommended. “We strongly encourage women to think positive. We cannot explain how crucial this is for the well-being of both mother and baby” stresses Dr Anita. “I was extremely worried. I didn’t want to lose my baby” said Sushmita. Sushmita made a conscious effort to change the way she thought about her situation. She imagined carrying her baby to term and envisioned a happy birthing experience. When she returned 2 weeks later for another ultrasound, her reports came back normal. “My baby’s heartbeat was strong and it was growing as per it’s gestational week” said an overjoyed Sushmita. The blood clot that had formed had also disappeared. “My baby girl was even more beautiful that I had thought,” she says, breaking into a huge smile. “For women who experience a miscarriage, there are high chances that their next pregnancy will be successfully continued to term” concludes Dr Anita.